Does Playing Mobile Games Make You Smarter? 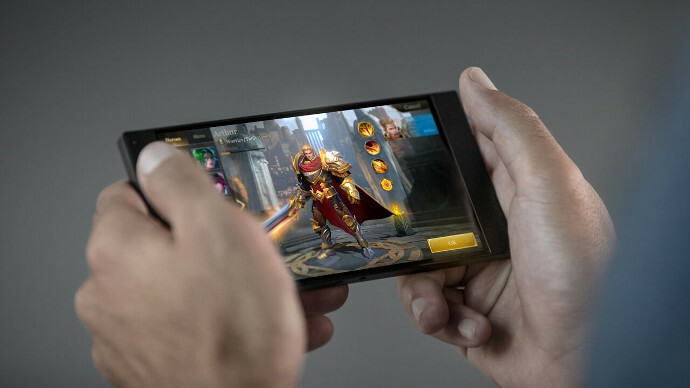 Home Technology Does Playing Mobile Games Make You Smarter? Video games have long been seen as the culprit behind poor performances in school. As such, many parents have forced their children to part ways with their mobile games, grounding them if they decide to do otherwise. The latest research, however, shows that parents should be thankful that their children are addicted to video games. Why, you ask? Several studies point that video games can actually make a person smarter and you can also take a smart decision by choosing slots play casinos for your iGaming needs. So before you ground your game-addicted child, make sure to read these unbelievable brain-boosting benefits of mobile games. Researchers in Britain found that video games that depend on strategy, such as “PUBG” and “Fortnite,” can increase a person’s brain flexibility, which the scientists described as “a cornerstone of human intelligence.” Participants assigned to play “Starcraft” rather than a life-simulation game experienced gains in their performance on psychological tests. They also completed cognitive flexibility tasks with greater speed and accuracy. While most gamers are cruelly qualified as loners, their games actually help in the advancement of interpersonal intelligence. Defined as the ability to understand oneself, as well as the feelings and emotions of people around them. This feature can also be seen in gamers, especially in individuals who prefer playing multiplayer online role-playing games, such as the likes of PUBG and World of Warcraft. In 2010, scientists presented research at the American Pain Society’s conference, which found evidence that playing video games, especially virtual reality games, is effective at reducing anxiety or pain caused by chronic illness or medical procedures. In a 2015 study in The Journal of Neuroscience, researchers from the University of California, Irvine recruited 69 participants and asked a third to play Super Mario 3D World for two weeks, a third to play Angry Birds, and the rest to play nothing. The people who played Mario ended up doing better on follow-up memory tasks, while the others showed no improvement pre and post gaming. Video gamers who specifically favor complex 3D video games performed better, the researchers concluded. Playing mobile games makes you smarter. One study found that playing mobile games actually causes changes in your brain. Scientists had 23 adults play Super Mario 64 on a Nintendo XXL console over a period of two months for 30 minutes a day while a control group did not play video games. The video gaming group showed increases of gray matter in the right hippocampus, right prefrontal cortex and the cerebellum, measured using MRI,” the study found.